Ice creams are always a refreshing summer desserts and it is much need for Indian climate. 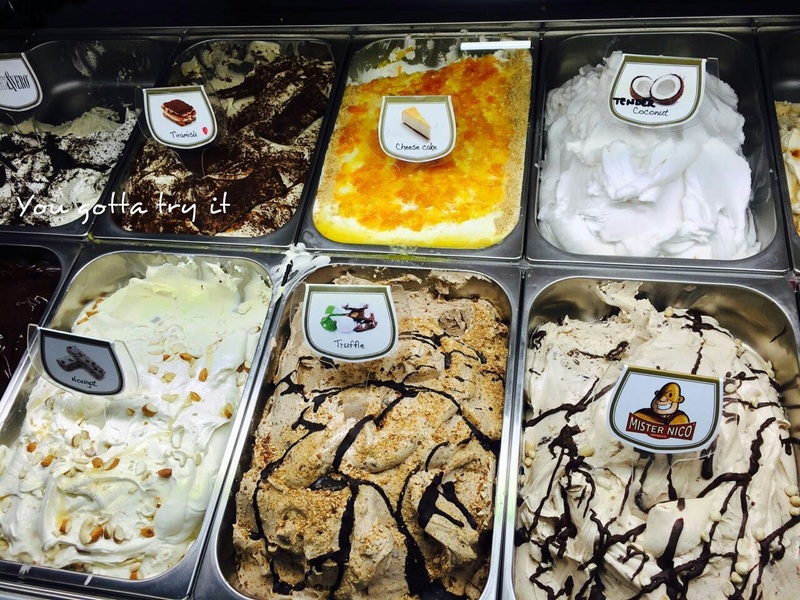 I have grown up eating ice creams of different types and back in my home town my mom also prepares yummy ice cream. This is one such dessert which is so popular all over the world. Summer in Bangalore is like never before. Touching the extreme level and weather is so hot that something really nice is needed for body to cool down a bit. 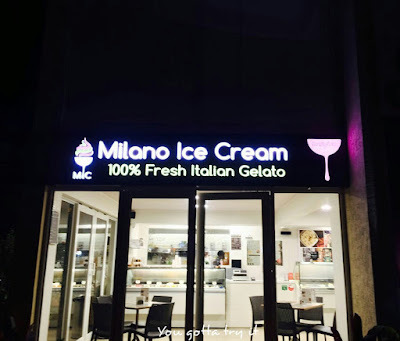 So couple of us headed to Milano ice cream after I told them a lot about this place. Milano, located in Krishna Temple road is famous for yummy, nutty, creamy ice creams and smooth and refreshing gelatos. 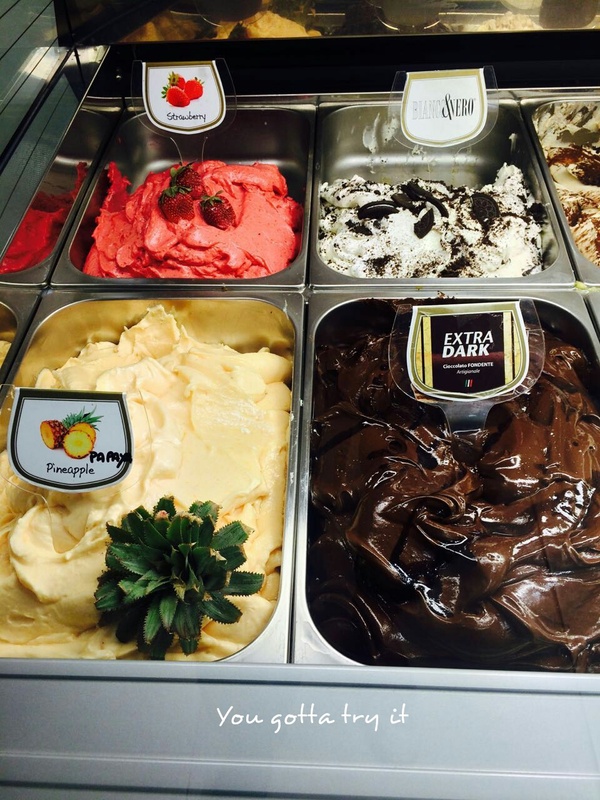 I have tried wild berries, tender coconut gelatos and truffles cone ice cream before which was heavenly. So this time when they had some exotic flavors, I thought of trying some seasonal favorites. 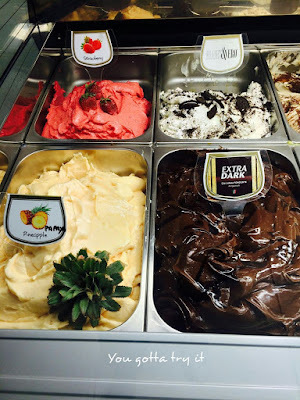 Everyone know that gelato is the Italian cousin of ice cream which differs in texture, creaminess, taste and the storage temperature. 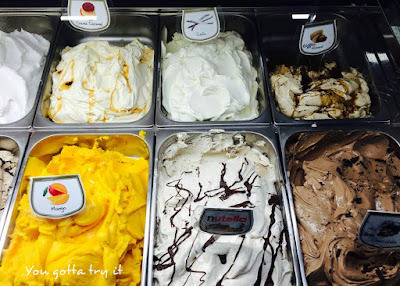 Past few years gelato has gained so much popularity in Bangalore. As I mentioned in the title, each flavor was like a treasure and we were searching for the best out of best. 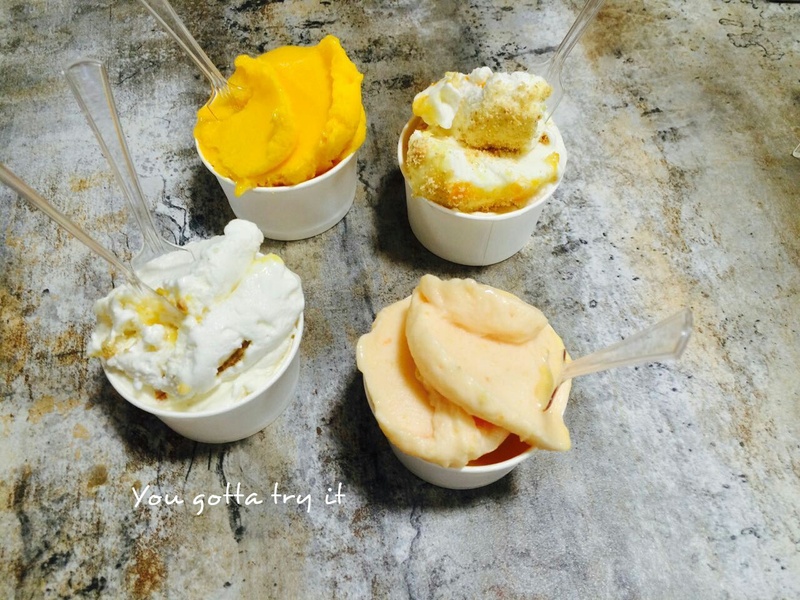 After tasting few flavors we ordered Mango, Pineapple-Papaya, Nougat and Cheese cake. 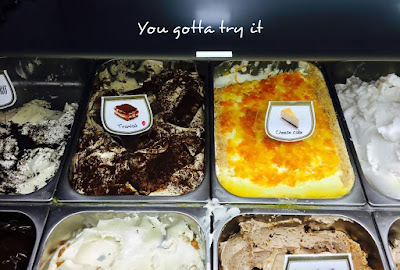 I must say best choice of gelatos and ice creams I had in recent times and all of us just loved it especially the mango and cheesecake ones. Service was really quick and the staffs were very polite and friendly. You can select your ice cream, decide the quantity and choice of serving and also the toppings. They also have ice cream cakes and crepes. Everything is vegetarian and price of ice cream starts Rs.100 onwards. I would definitely go there again to try out other frozen delights!